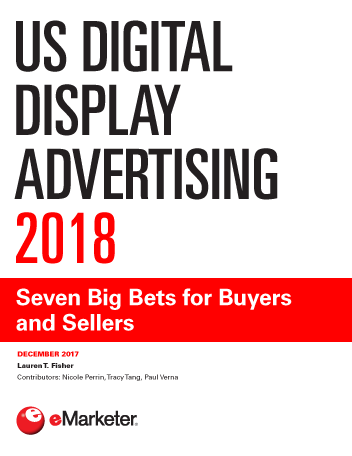 eMarketer estimates US advertisers will spend nearly $48 billion on digital display ads in 2018. As the new year begins, many of the effects felt in 2017 from concerns over ad quality and transparency will continue to shape buyer-seller relationships and the flow of dollars between the two. As audience data increasingly is seen as an asset, buyers will increasingly look to bring that data in-house, and demand greater transparency about how that data is both collected and used by partners and third parties. While fraud levels on the web will likely decline in 2018, the period to rejoice will be short-lived, as fraudsters follow marketers and their money to in-app advertising, social and even influencer marketing. "Advertisers in the US will spend nearly $48 billion on digital display advertising next year."